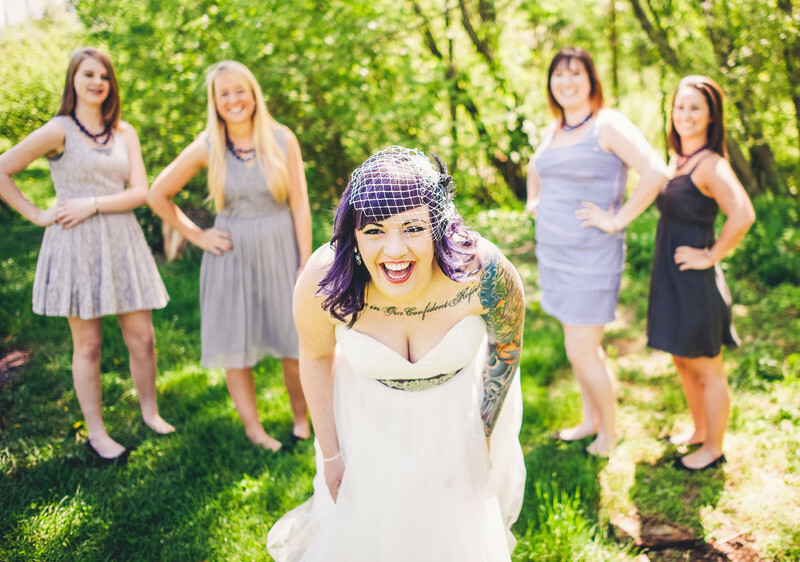 This tattooed bride knows how to have fun! You may recognize this photo from Huffington Post Weddings or Rock n Roll Bride. Her wedding has been featured on both. This wedding took place in Lancaster County, Pa home of the Amish. It shows you can still have a tattooed wedding in Amish country! So call us about your tattooed wedding or your Lancaster, pa wedding. We'd love to bring out the color in you! Allebach Photography is Located in Pennsylvania and serves tattooed brides and offbeat grooms around the United States.